Happy everything in 2019 and may your cup of cheer run over and spill happiness everywhere. I'm excited to have you here with me for this new year. For all the new readers, welcome I plan to inspire you and hopefully you stay awhile. 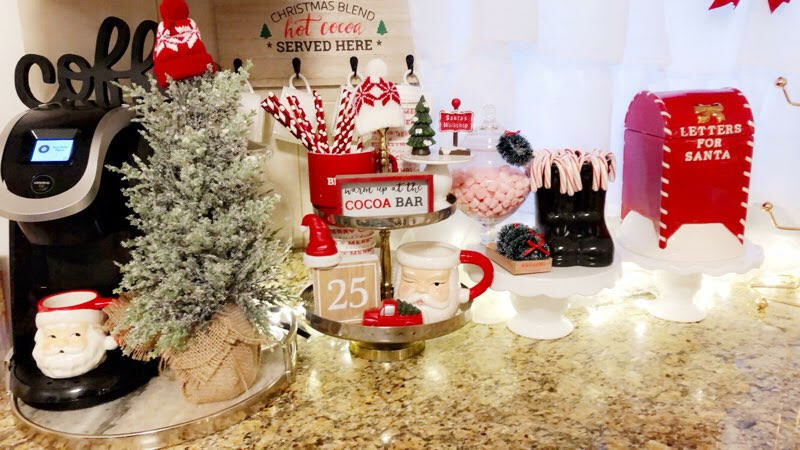 Today I'm sharing with you my new and improve coffee bar which is still serving hot cocoa for the rest of winter. Have you been to mine and your favorite store Target lately? You'll need to run soon after you finish this post! They incorporated the cutest hot cocoa bar items for Valentine's and it's so adorable I'm still in awe. If you follow me on Instagram you probably already saw my IGTV video of my mini haul from Target and a sneak peak of some of the items i styled my tiered tray. 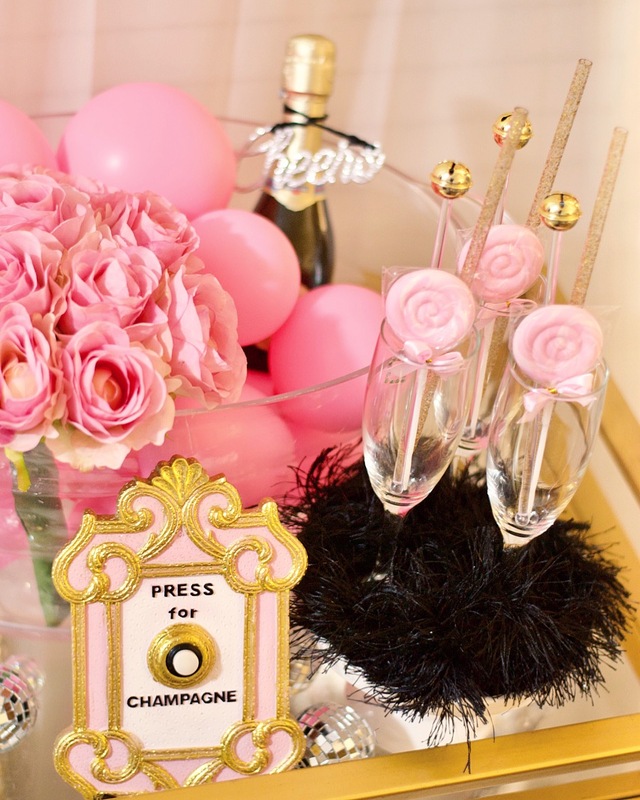 It's almost 2019, what a better way to ring in the new year than with a sweet and sparkling bar cart with bubbly drinks and scrumptious dessert. Today I'm sharing this super fun and girlie theme to cheer on 2019. I hope you will like these ideas as much as I did. 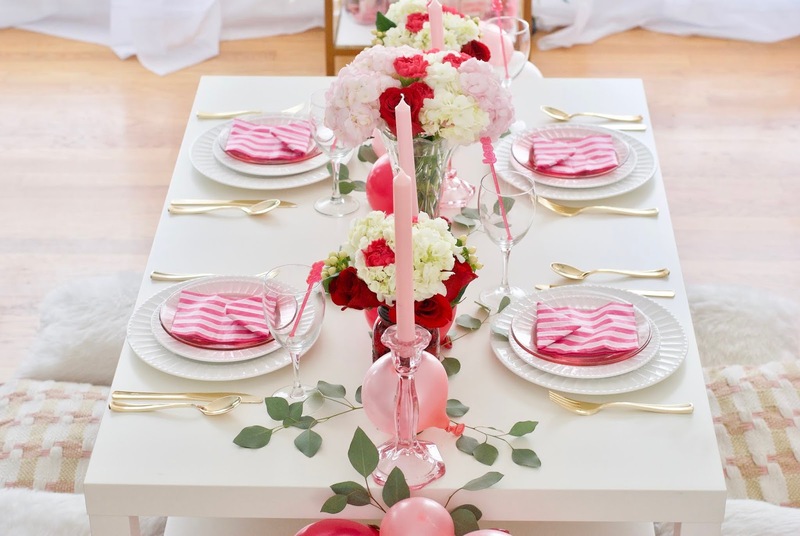 I chose lots of pink with pops of gold and black tying into my decor pieces. Most of these items are from Target including the bar cart. If you have any questions please don't hesitate to ask or comment below. I want to take this moment to thank all of you for your continous support you have given me throughout 2018 and I look forward to bring you new and fun content in the new year. 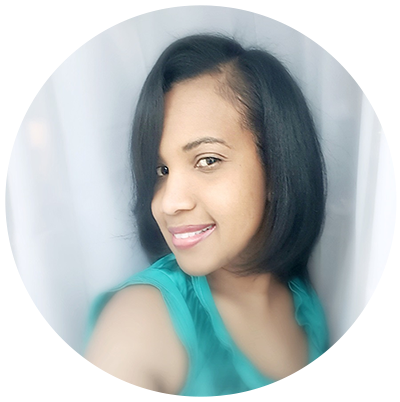 Enjoy the photos and have a bubbly, C H E E R S ! Sharing my dining room table top decor. I decorated with the traditional red along with some white and silver colors. This room is the most boldest out if all the rooms in the house. I found the flocked tree at Walmart for a steal, only downside is that it's not pre-lit. I added some velvet bows that I DIYed and it was complete. I didn't want it to take away from my table so I kept it simple. The decor pieces I chose are from Target and I think they are so adorable for the price. Enjoy the photos. I hope everyone had the merriest Christmas ever! I'm so late with this post but better late than never, right?! The entire holiday season is a busy time in my house since some family members have birthdays too. I want to share some of my decor in my living room and be warned my decor style is winter wonderland. It explodes with lots of white and cream along with black and rose gold. All wreaths, garland and trees are flocked with twinkling lights. It as the most inviting and warm room inn our house, very cozy and get you in the Christmas spirit for sure. I won't ramble anymore so grab a cup of cheer whatever that is for you, coffee or hot cocoa and enjoy the photos. Are you keeping warm this season with your hot cocoa? No?! 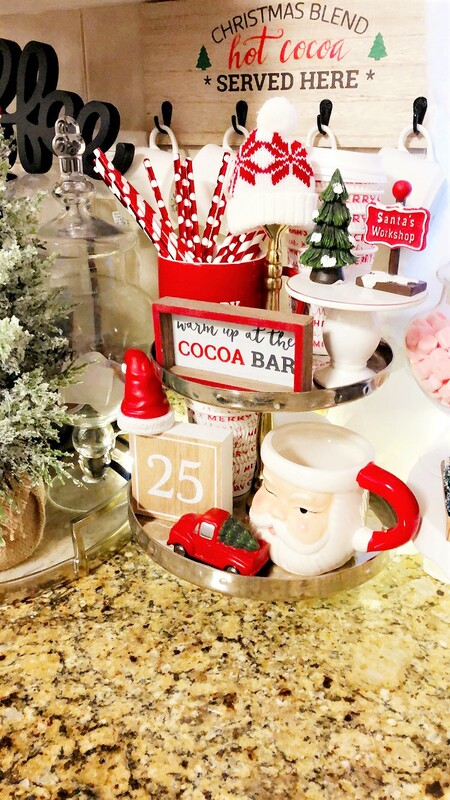 I'm surely enjoying a few cups from my hot cocoa bar. I made it festive with brilliant colors and all the cute stuff from Bullseye Playground at Target.